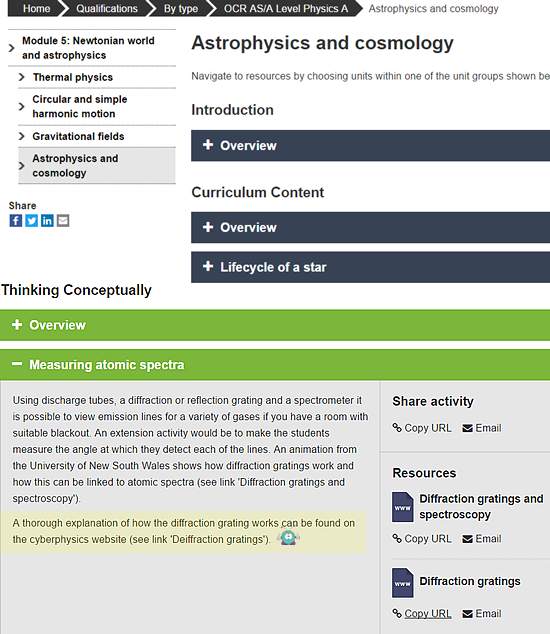 The Cyberphysics site has been in use for some time now, and several established organisations have recommended it as a comprehensive, reliable source of information for students and teachers of physics. 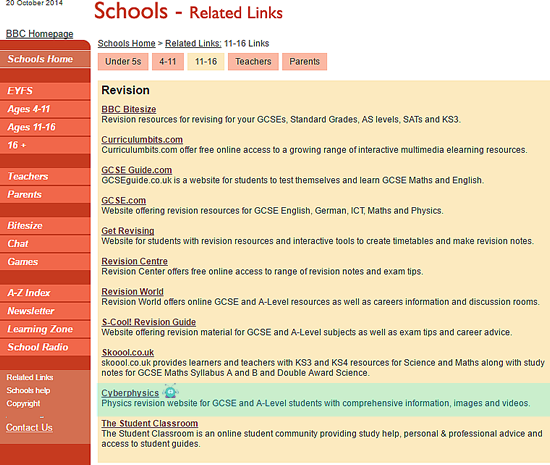 The Schools section of the BBC Website recommends Cyberphysics as a revision resource for secondary pupils. 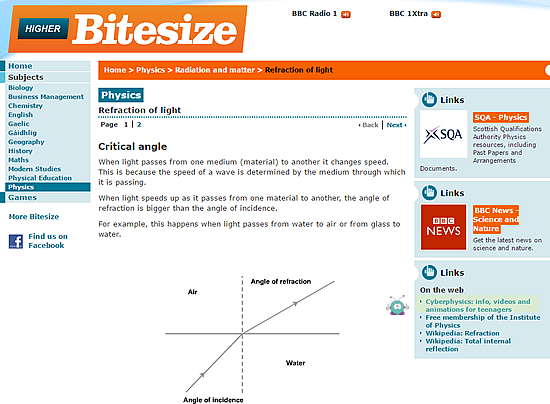 BBC Bitesize recommends Cyberphysics for many of its GCSE topics. 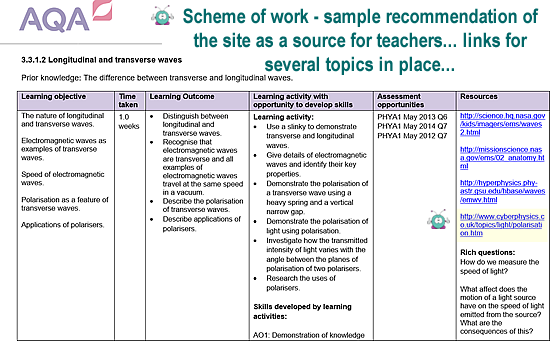 The examining boards in England recommend its use for revision and for planning schemes of work. In the OCR 'Delivery Guide' for the OCR 'A Level Physics Course' Cyberphysics is linked in several places - in the example below the quality of the material on offer is highlighted.